Makes playing golf at night possible. Without expensive floodlights. An asolutely new and amazing golf experience, for every day! Not just for one event! The whole illumination starts automatically and switches off automatically when ever the golfclub wants. Valid Patent: CH 703702 B1. Something for every golfclub! 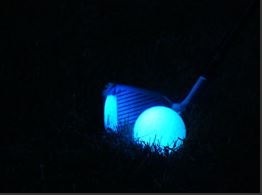 It's offering whole packages for night golf, or just for a Driving Ranges. High potential in the market. People work more, less time for sport and fun during daytime! Plenty of golf courses in the area of this patent! We offer licences or the whole patent. Depends on negotiations. Page created at 2019-04-25 14:32:41, Patent Auction Time.